Hamas is divvying up ruins of Jewish communities to settle debts for unpaid wages for tens of thousands of employees. Hamas is looking to the ruins of Jewish communities in Gaza to settle its longstanding debt to public sector employees. The Hamas employees, who were hired without the consent of the Palestinian Authority government in Ramallah, have remained a sticking point in relations between Hamas and Fatah. Despite the formation of a unity government, the Palestinian Authority has refused to pay back wages for some 40,000 Gaza officials, insisting that Hamas cover its own debts, Haaretz reports. 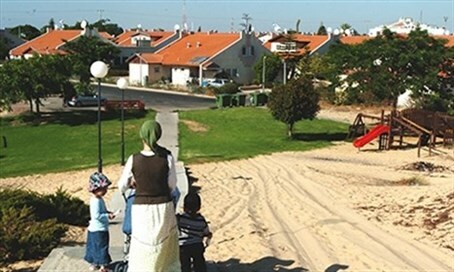 Hamas officials in Gaza, meanwhile, have begun compensating employees for back wages with plots of land in the former Jewish communities of Gush Katif in Gaza, which Israel demolished during the 2005 Gaza Disengagement. Some 18,000 of the 40,000 workers with claims for back wages have registered to the waiting list for compensation. The PA, however, is reportedly livid at the plan, which relies on land designated for public use that is not within Hamas’ authority to use for paying back its debts.